Tonight when President Cyril Ramaphosa delivers his second state of the nation address (SONA) he will say very little about the actual health of the nation. In fact, if past SONA’s are anything to go by, health gets a few paragraphs three quarters of the way through the speech, usually sandwiched between education and crime. Although Ramaphosa says he has prioritised the health crisis he is unlikely to acknowledge the impact of our individual health on the state of the nation’s health as a whole. Yet health affects our morale, our psychology, our productivity, our educational outcomes and employment prospects, our patterns of expenditure as individuals. It’s one of the government’s biggest budget items. If health is central to our being. It ought to be central to the nation’s being – not an after-thought. The continued extremely high levels of illness and death due to Tuberculosis (TB), where there are an estimated 300,000 cases and 80,000 deaths a year, despite the fact that TB disease has been curable since the 1950s. The 8,000 babies who die each year during or shortly after birth, mostly due to preventable causes that are linked to health system failures. Or the malnutrition that faces up to 30% of children, often followed by obesity in adolescence and adulthood, due to paths of deprivation cut by childhood hunger. The exploding cancer epidemic and how many people are dying because cancer medicines cost so much and public sector oncologists are almost extinct. The crisis in mental health care services that continues after Life Esidimeni; or the largely untreated epidemic of depression that was made evident last year in the deaths of respected figures like Professor Bongani Mayosi and Hip Hop Pantsula – as well as an estimated 14 other males who die of suicide daily. The unquenched HIV epidemic, that still causes 89,000 deaths a years and 270,000 new infections – which is now under new management of his Deputy President David Mabuza, a man with a track record of disinterest and failure on HIV when he was Premier in Mpumalanga. Neither will he make us aware of the world-beating levels of trauma caused by alcohol, gun violence and car accidents – and what this costs our nation. The quantum of corruption in the health sector; or how ambulance services or medical equipment supplies can be as profitable for corrupt tenderpreneurs as Bosasa. The numbers of publicly trained doctors and nurses who drain out of the public health sector, into the private sector, to Canada and Australia. The unacceptable levels of medicine stockouts, or equipment shortages. The profiteering that is taking place in parts of the private health sector or the preliminary findings of the Health Market Inquiry, which has now been shelved for the next few months due to a lack of money – itself a sign of limited political commitment to fixing the health system. Instead, the President will probably spend those few precious lines heralding the promise of a controversial Bill on NHI which address none of the crises above, and which has created division and despair at the very moment when we need unity. I record this woeful diagnosis not because I wish to detract from the importance of the many initiatives the President’s SONA will announce, or to deny the superhuman effort that is being made by some in government, including the President, to root out corruption and rebuild a capable state. I do so because health is vital to our national well-being and the AIDS denialism of an early President continues to have a deadly legacy. Health, as well as being a symptom of the inequality we inherited from our past, is also a cause of inequality in our future. Therefore, how we tackle inequality must be a measure of the state of our nation. President Ramaphosa undoubtedly will remark on the fact that 2019 marks the 25th year of our democracy. But as the ANC’s chief negotiator he knows that our new South Africa was founded with a constitutionally entrenched promise of equality and a system of social justice. It is the President job to “uphold, defend and respect the Constitution” – that is the whole Constitution, not just the parts that will make the wealthy feel secure. The crisis in our nation’s health arises from an unconstitutional state of affairs; it is not preordained, it is not even a legacy of apartheid because there is much we could have done to improve it. It arose from bad governance, corruption and planning that doesn’t take account of human rights or equity. It points to a Health department in denial about the crisis or incapacitated about what to do about it. The annual SONA should therefore offer strategies to realise rights as much as it will set out strategies to improve its economy. We reject the argument though that investment in fixing health must wait for improvements in the economy. Health should be considered as crucial to productivity as a stable electricity supply; the efficiency of our public hospitals is as important as that of our State Owned Enterprises. Not having a plan for the estimated R80-billion in that has accrued in medico-legal claims due to state failure is a drain on our health system as much as Eskom’s debt is a drain on our economy. 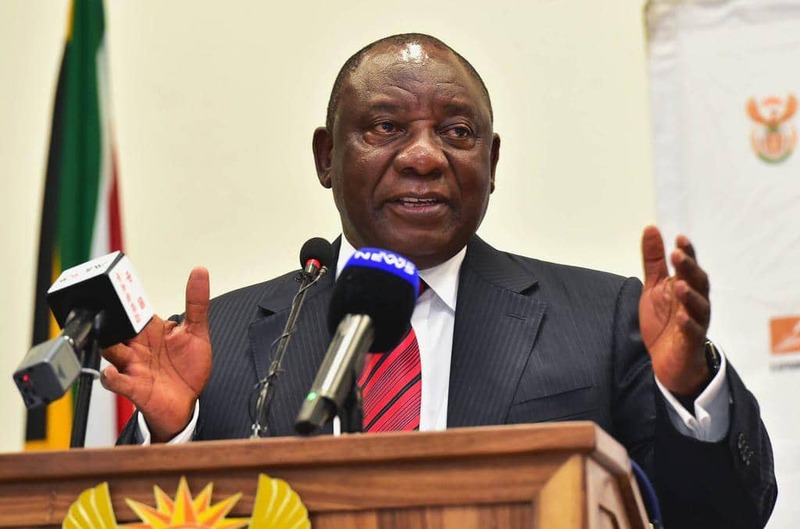 President Ramaphosa, responding only to the ills of the economy – and not giving equal treatment to the ills of the people – is like emergency services rushing to the scene of an accident and then tinkering with the crashed car while the patient bleeds to death on the road side. You need the person to be healthy to drive the car. By investing in the person you might just be able to kick start the car. If only they could learn to look at things differently, government planners would see that meeting their constitutional duty to ensure “everyone has access to healthcare services” might be a means of creating jobs and saving billions of rands by preventing costly illnesses. Or, is that a dawn too far?